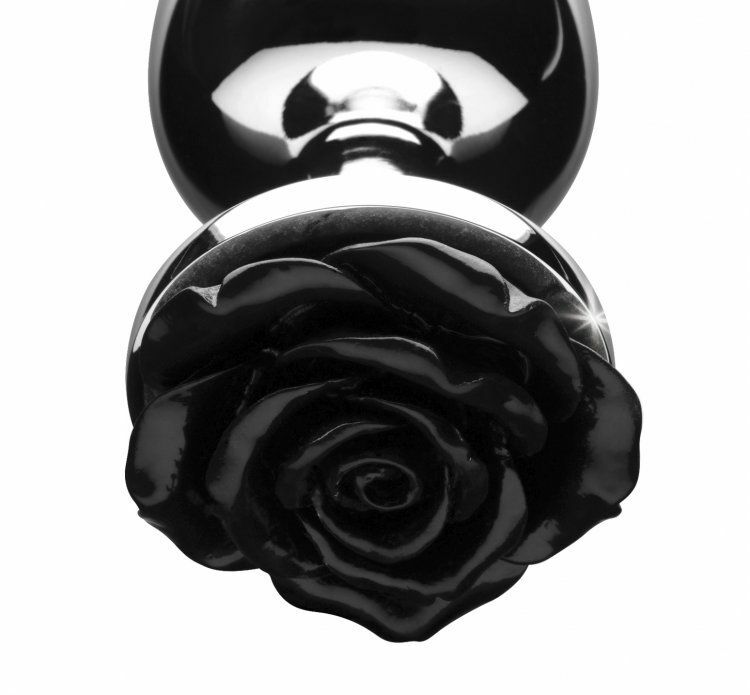 Beautify your booty with this darkly stunning rose! 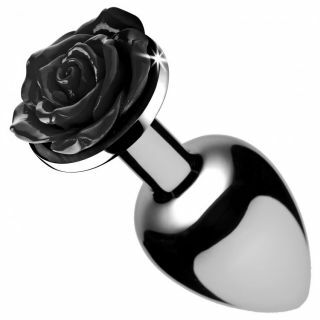 Featuring a smooth metal finish in lightweight aluminum, it features a beautiful deep black rose at the end which will flash as you bend over and tease your lover. The slim shaft will keep it from slipping out of place even during vigorous play. The nickel free aluminum alloy is nicely weighted and temperature sensitive for the perfect amount of sensation. When play is over, the non-porous material will clean easily without harboring any harmful bacteria. Make that booty bloom!